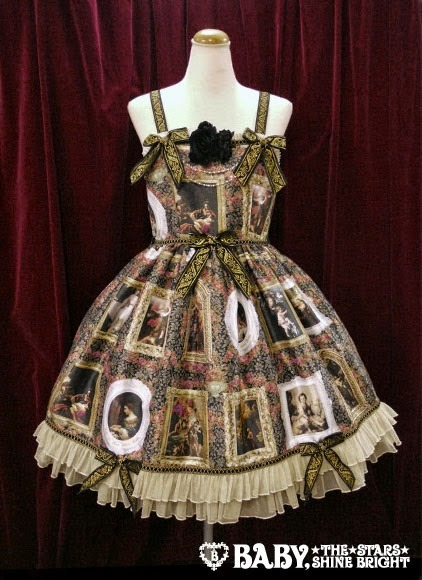 Tokyo Rebel: A few new items from Baby, the Stars Shine Bright including "Looking for Baroque"! A few new items from Baby, the Stars Shine Bright including "Looking for Baroque"! Last week we received the majority of our "Merry Making in the Ghost Town" series items from Baby, the Stars Shine Bright/Alice and the Pirates, and as those of you who follow the brand probably figured, it almost all went out to satisfy reserve orders. But in that same shipment BTSSB did include some other items we had ordered that they'd just received in stock themselves, including items in the "Looking/Searching for Baroque" series pictured above as well as the "My Sweet Mate Kumya's Trick or Treat" series for Halloween! It's a small number of items so we don't expect them to last long, but we still wanted to let everybody know who might be interested! Visit our new arrivals page to see what's just come in.